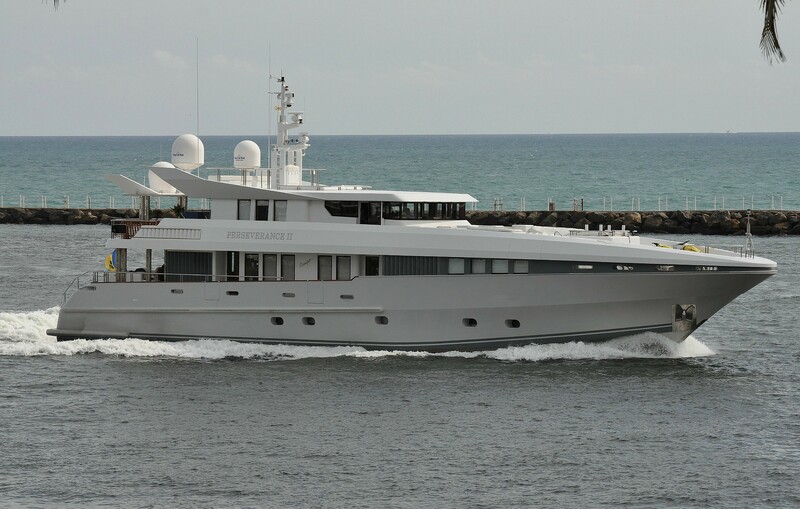 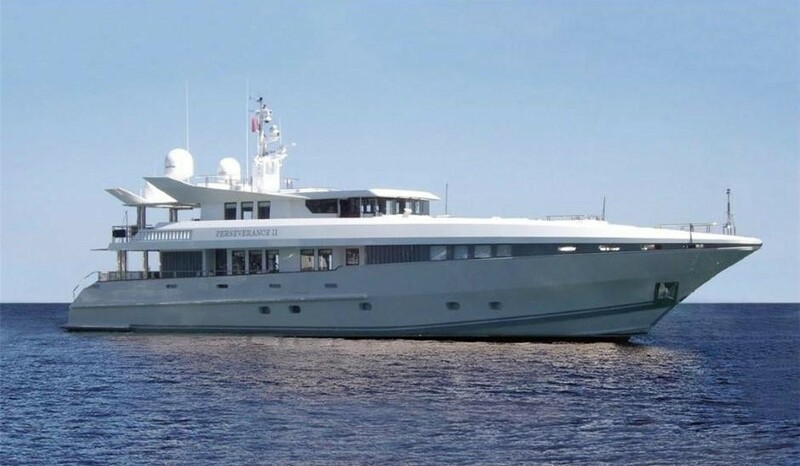 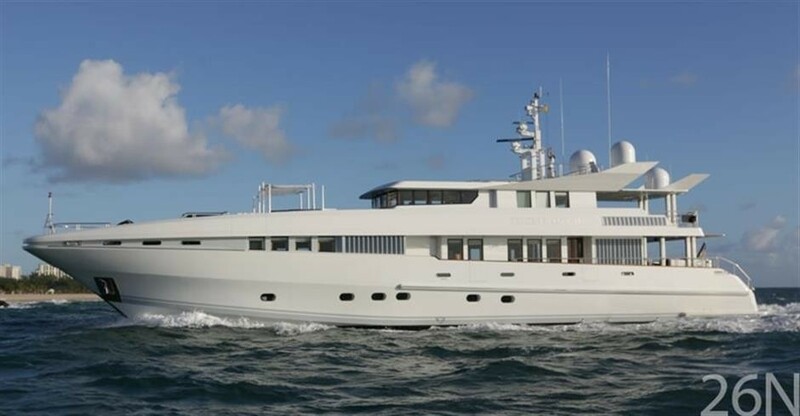 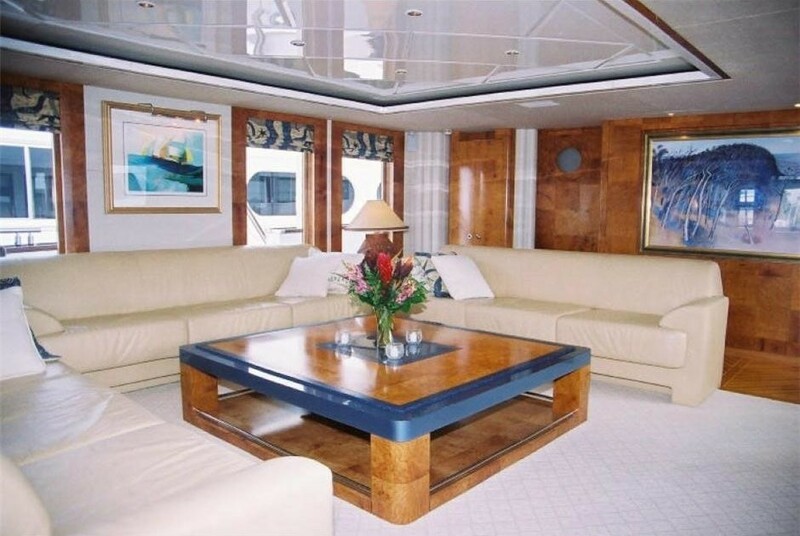 Motor yacht MERCEDES is a 37,49 m (123' ) luxury charter yacht which was built by Oceanfast in 1996 with interior design by Sam Sorgiovanni and naval architecture by Phil Curran. 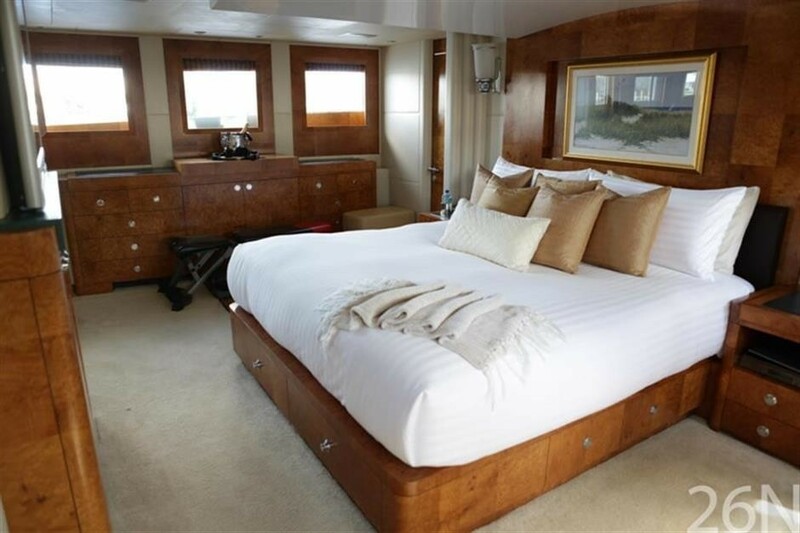 All the cabins have been completely refurbished with new soft furnishings in November 2008. 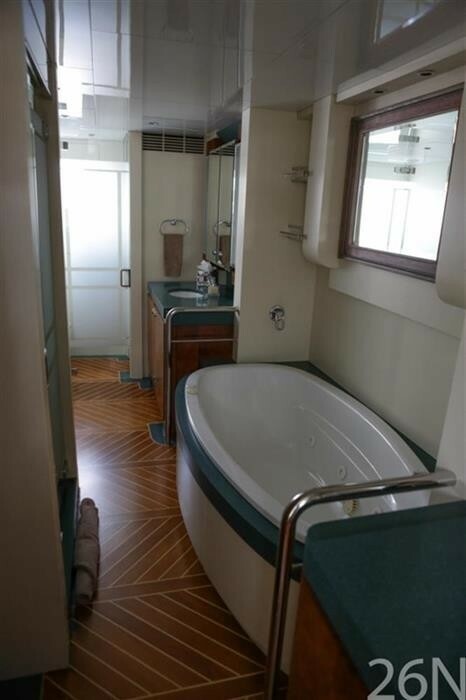 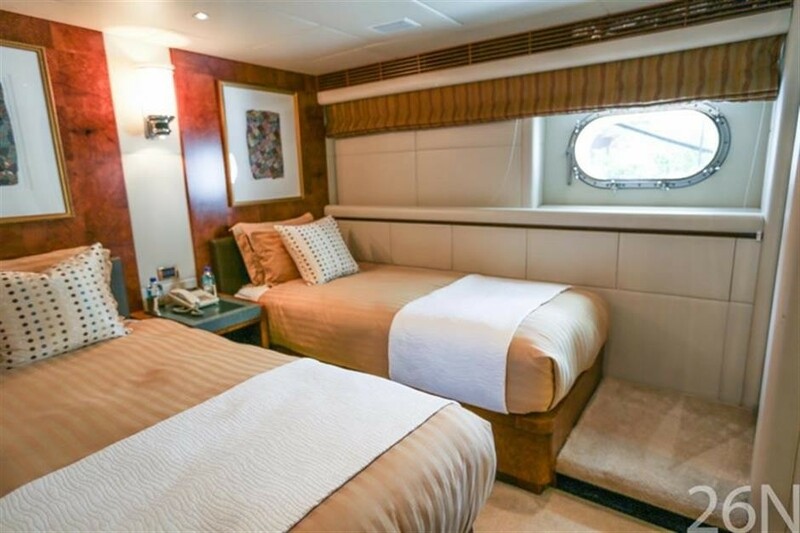 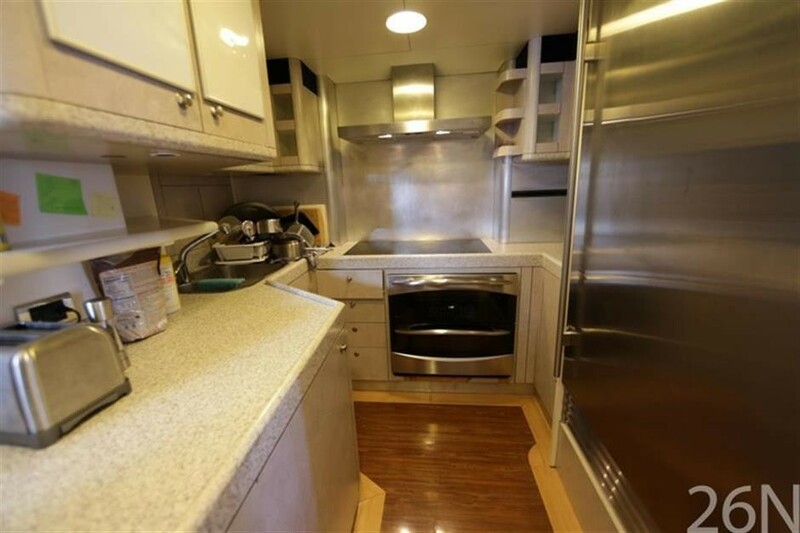 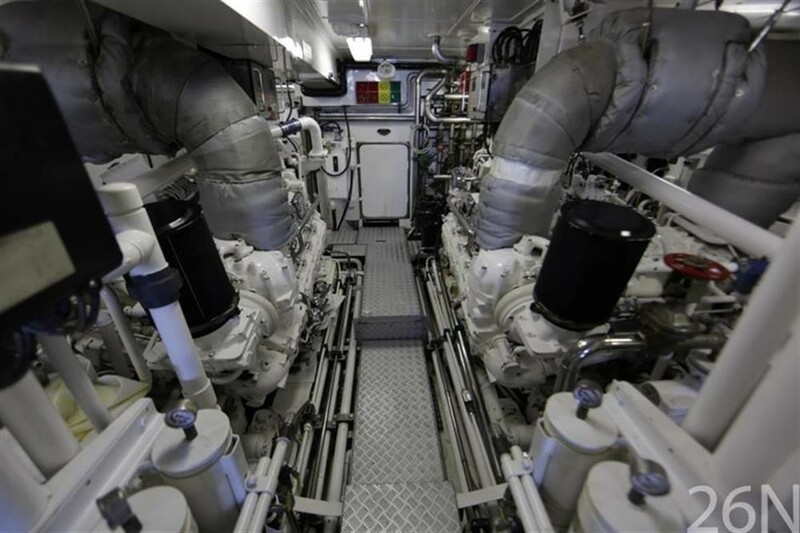 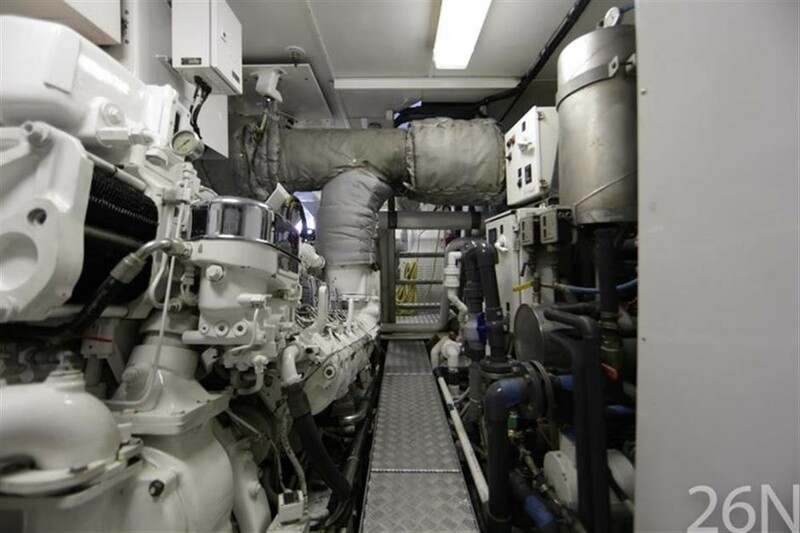 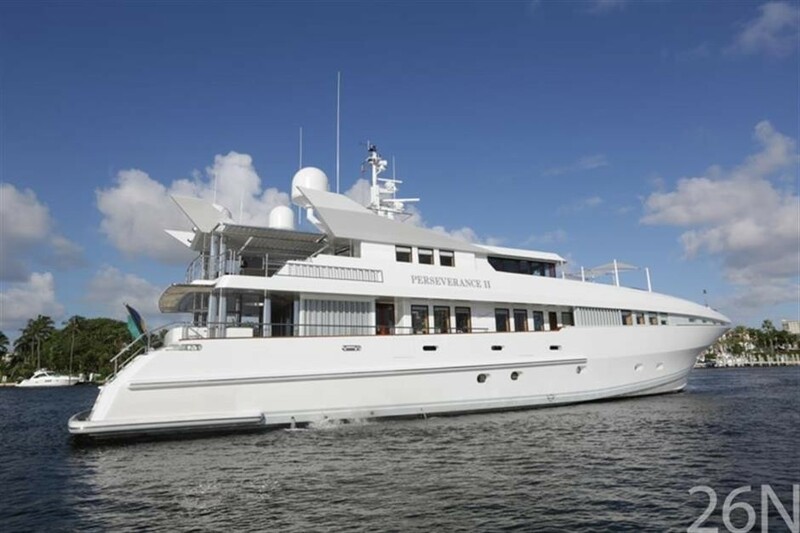 MERCEDES (ex Perserverance II) has a full beam, on deck, master stateroom, complete with with an his and hers ensuite bathroom. 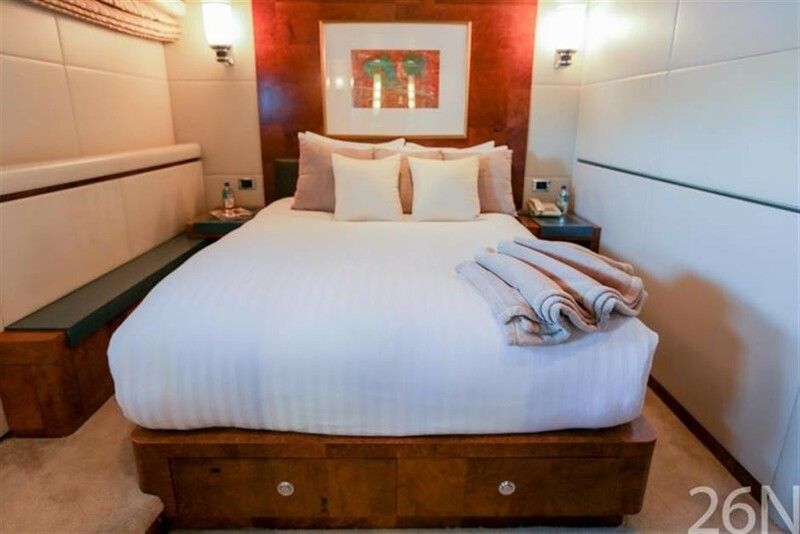 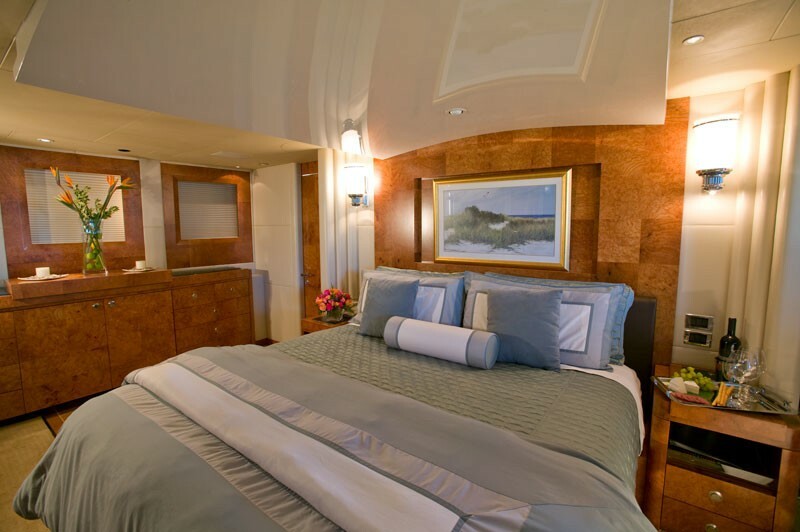 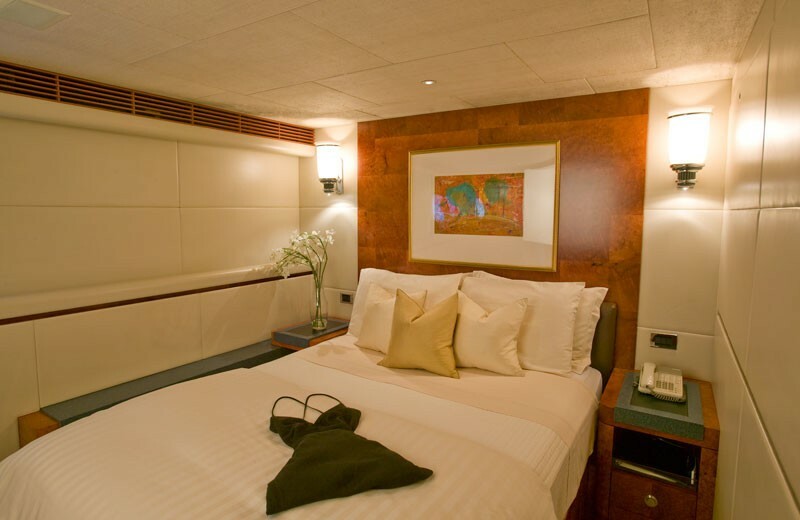 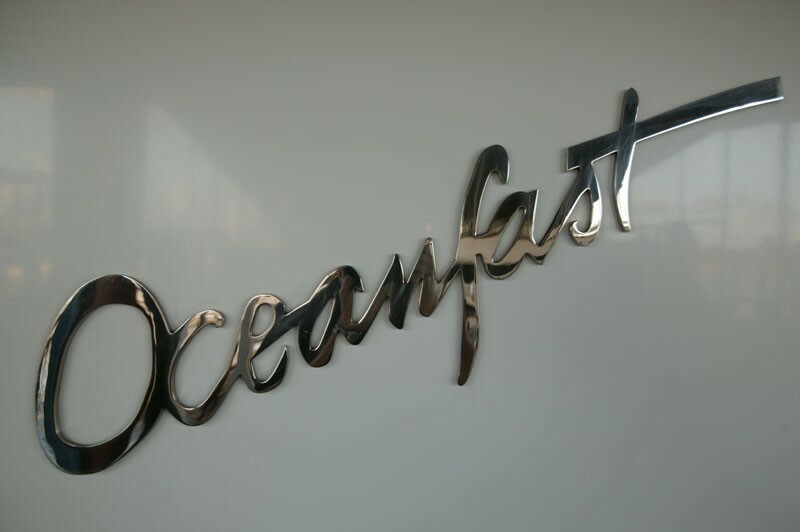 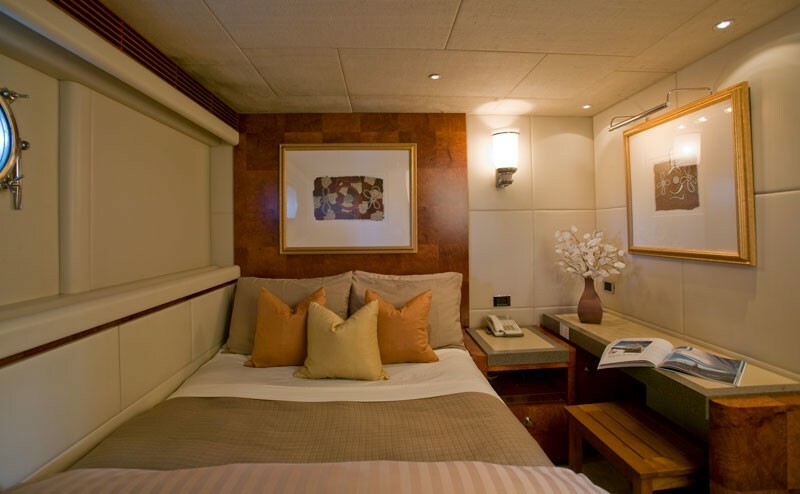 There is a further two queen staterooms for guests and one stateroom with twin lower berths - all with full ensuite bathrooms. 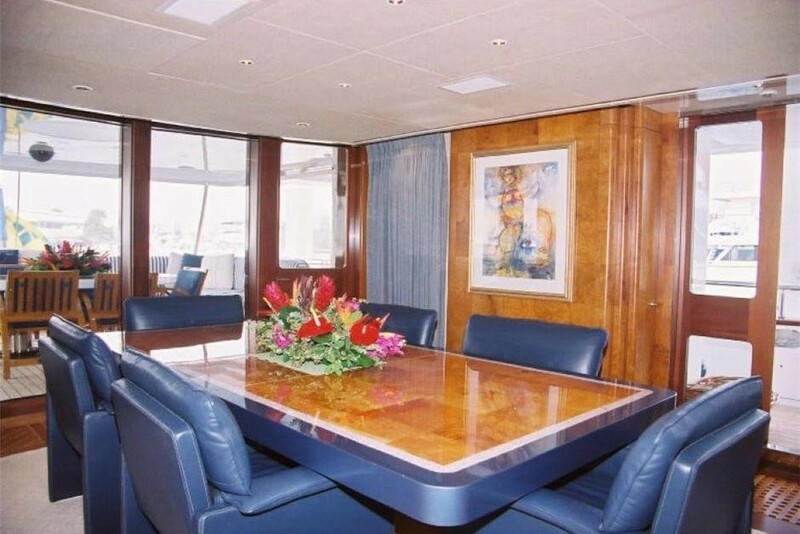 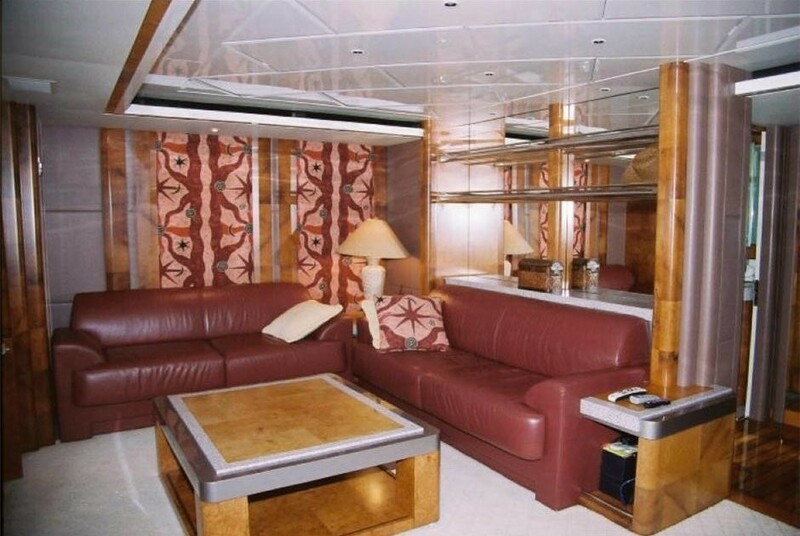 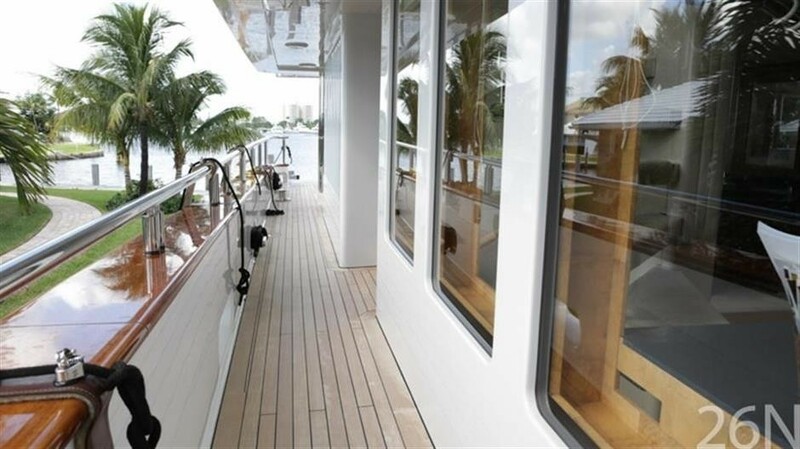 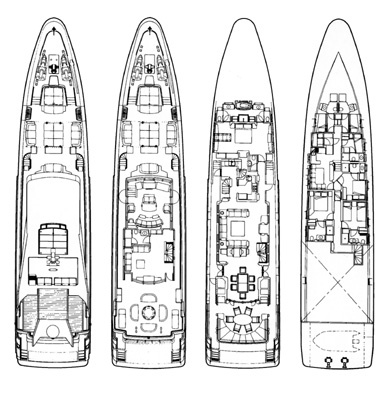 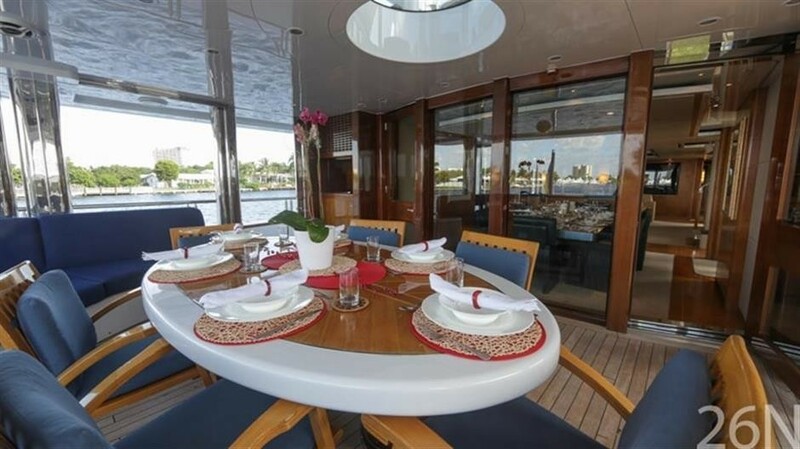 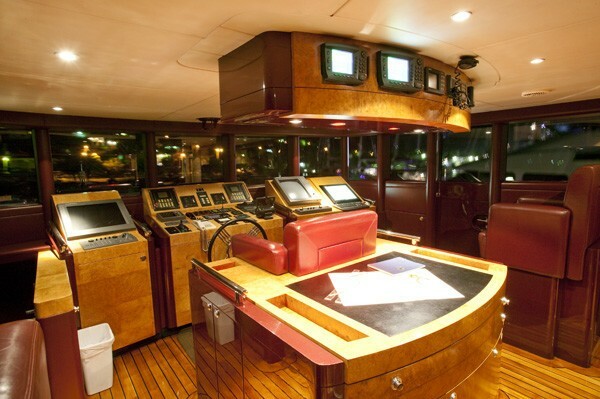 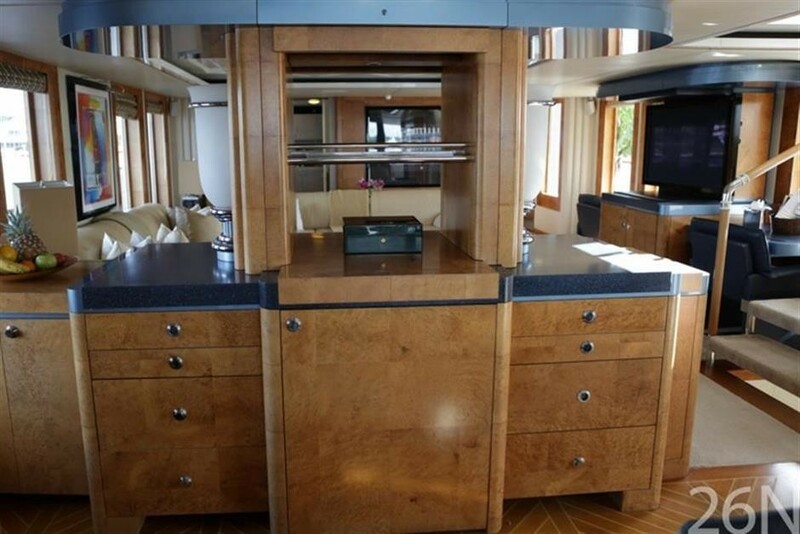 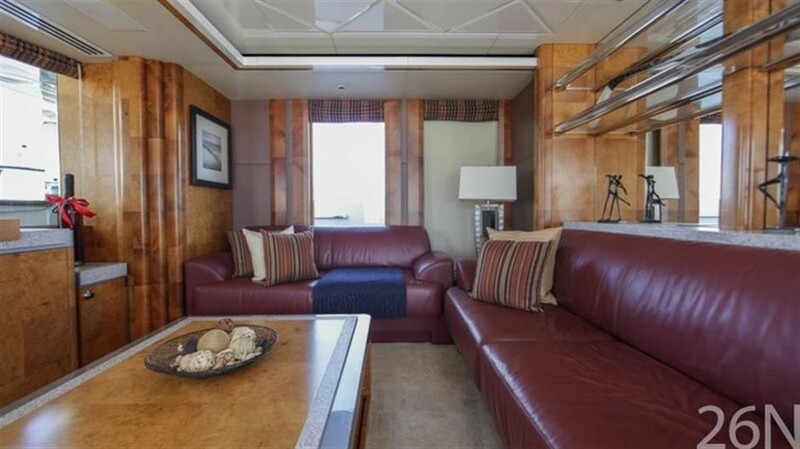 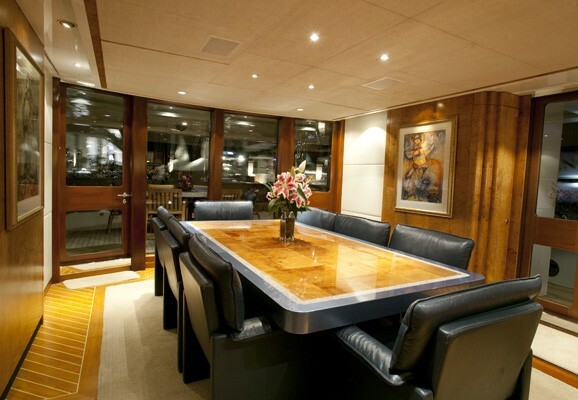 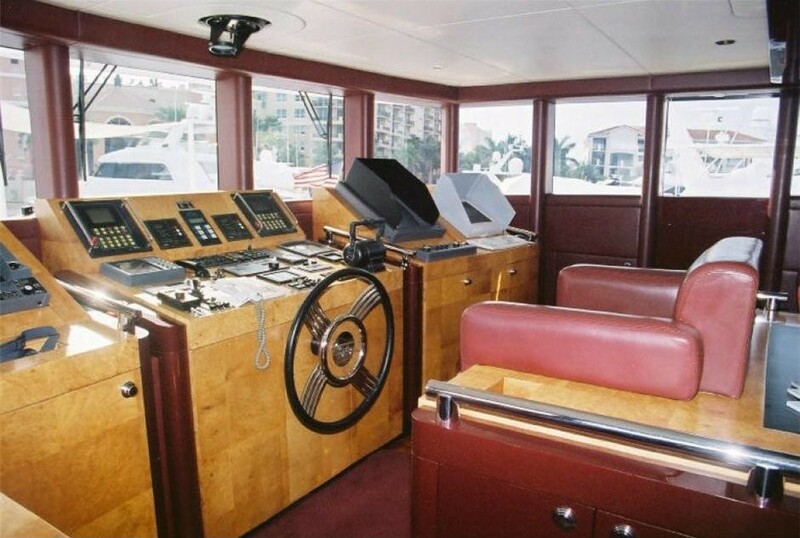 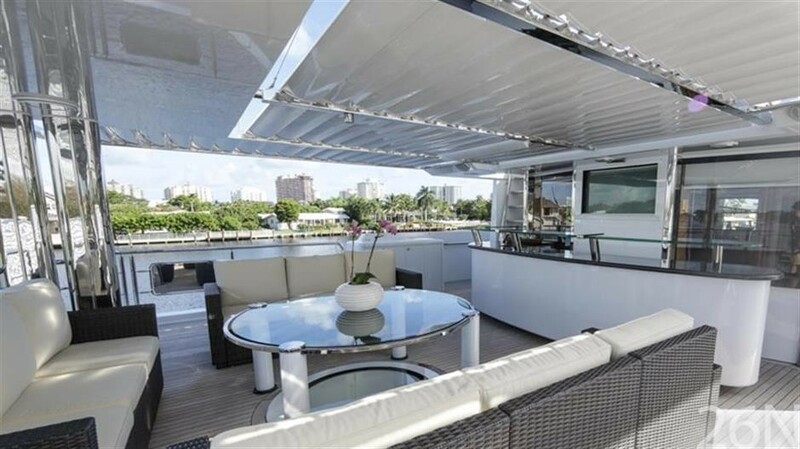 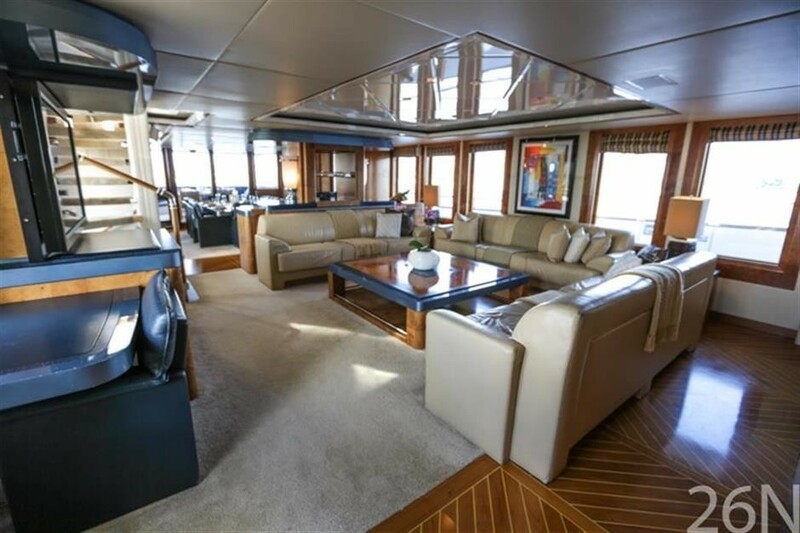 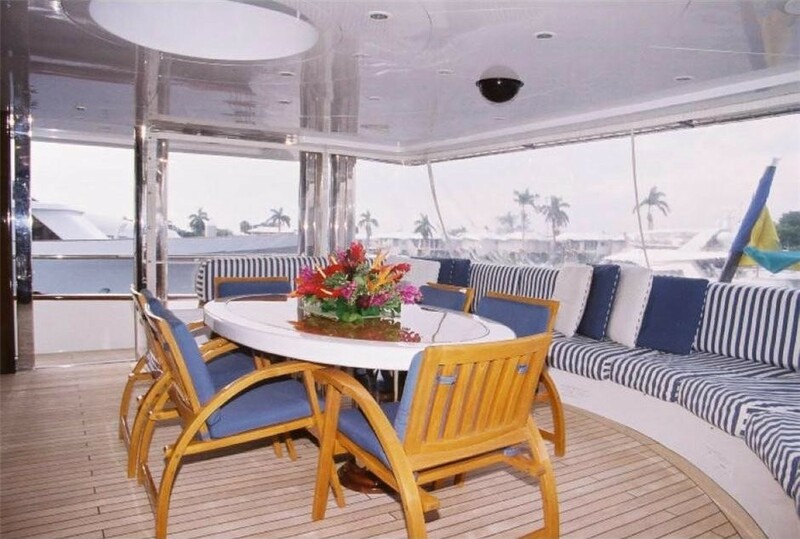 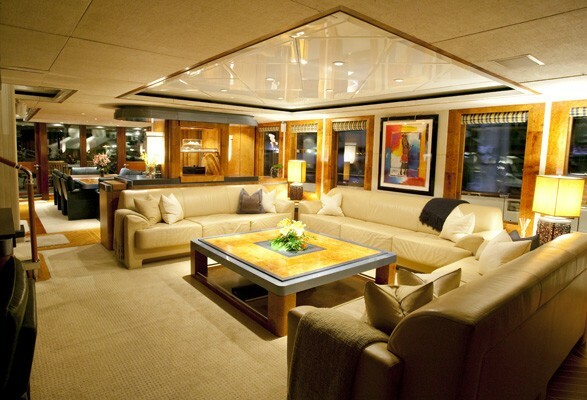 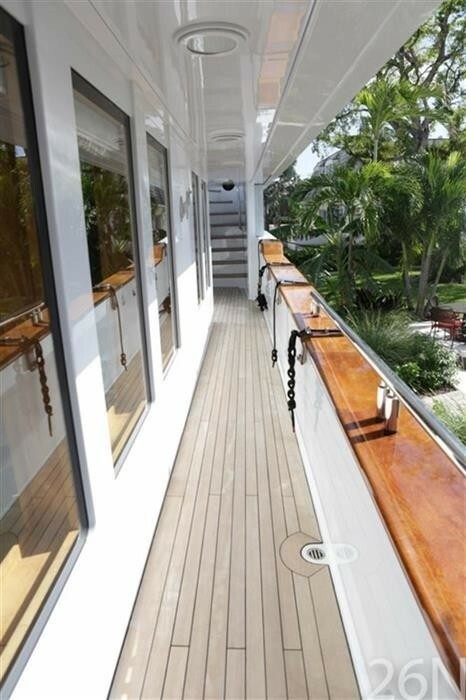 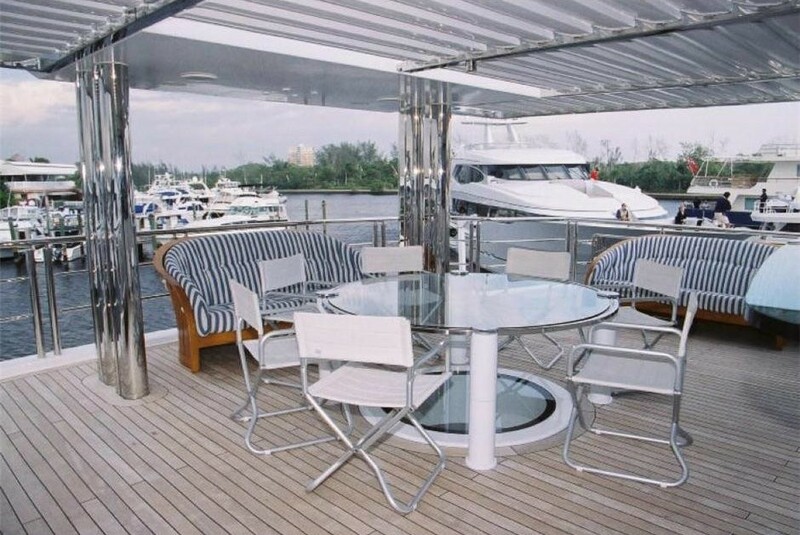 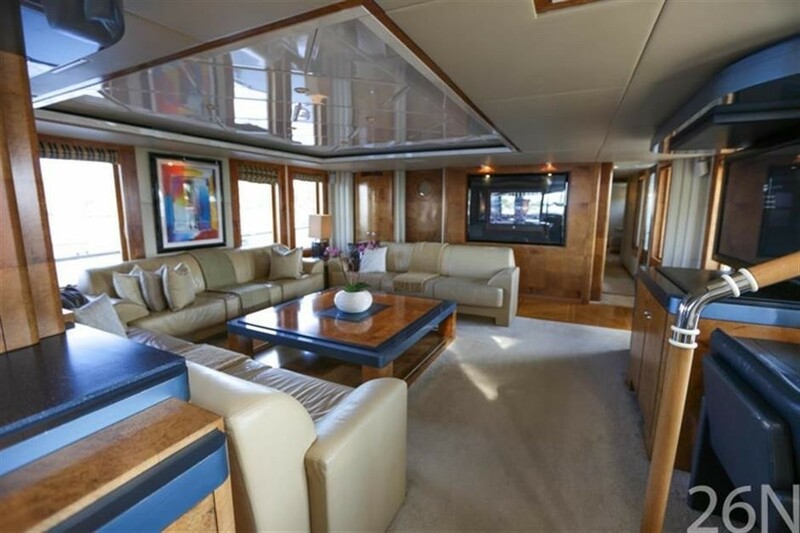 Her main deck salon features floor to ceiling windows. 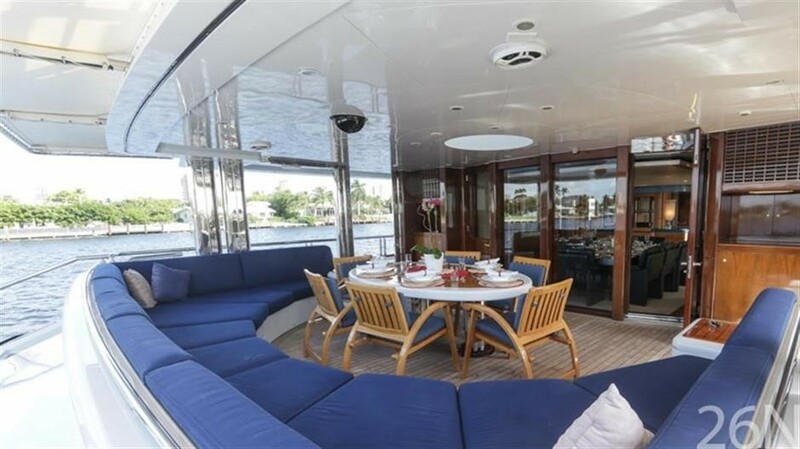 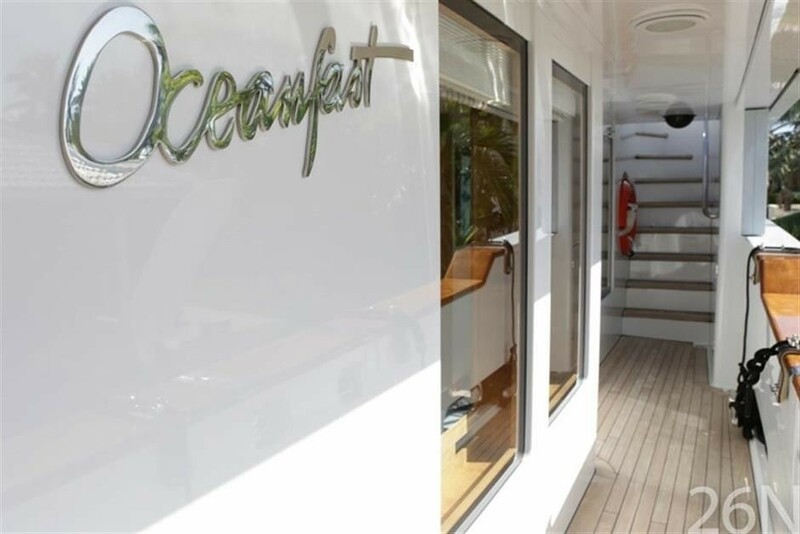 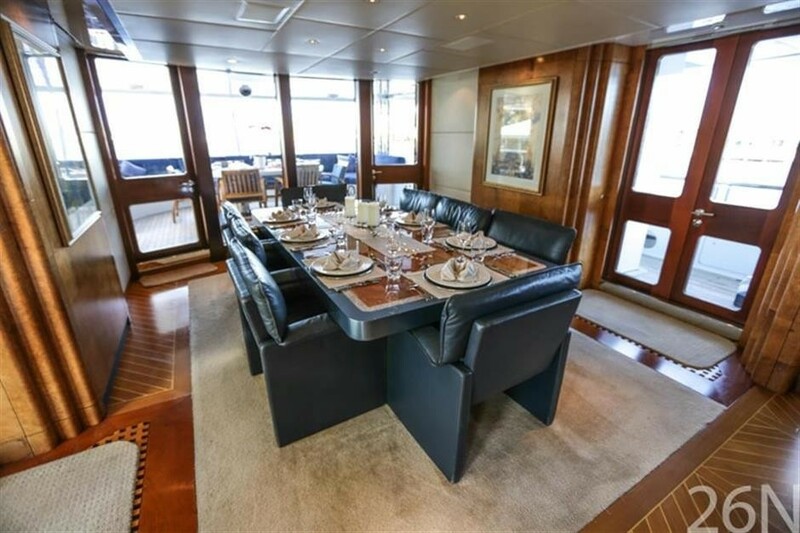 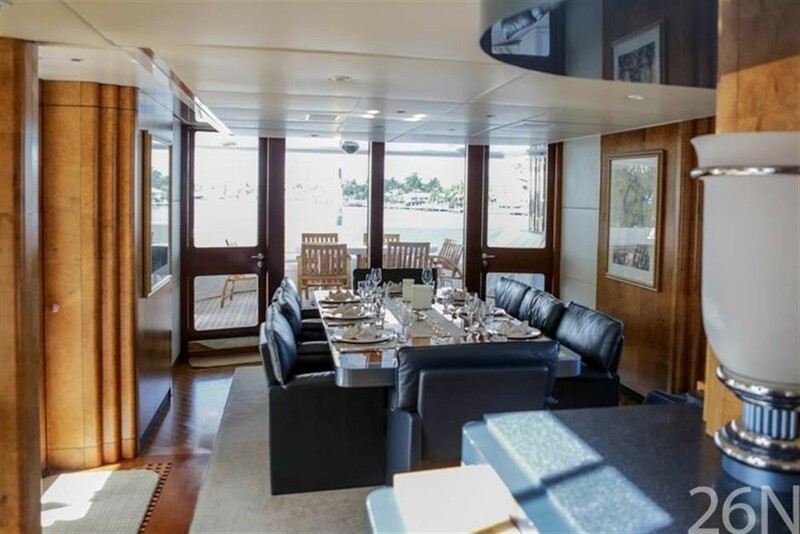 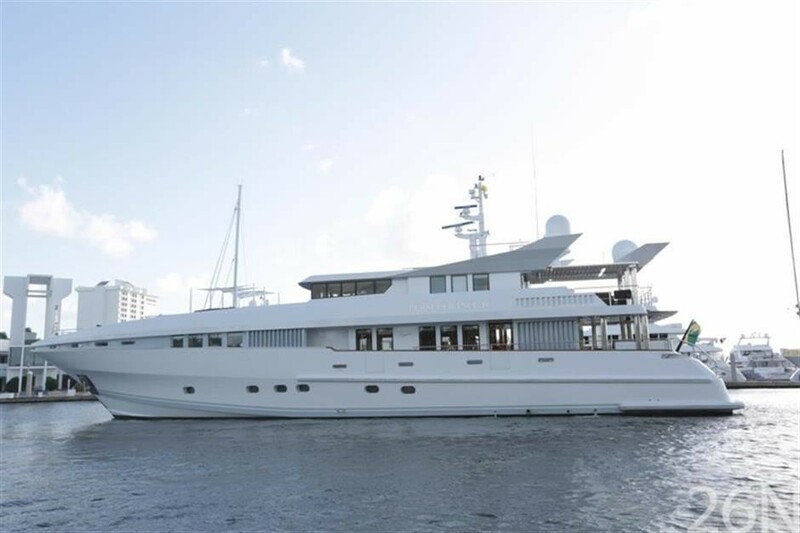 This gives unobstructed views of the outside and her large aft deck provides the ideal spot for al fresco dining, while the wrap around lounge is the perfect spot to layback and catch up on your reading. 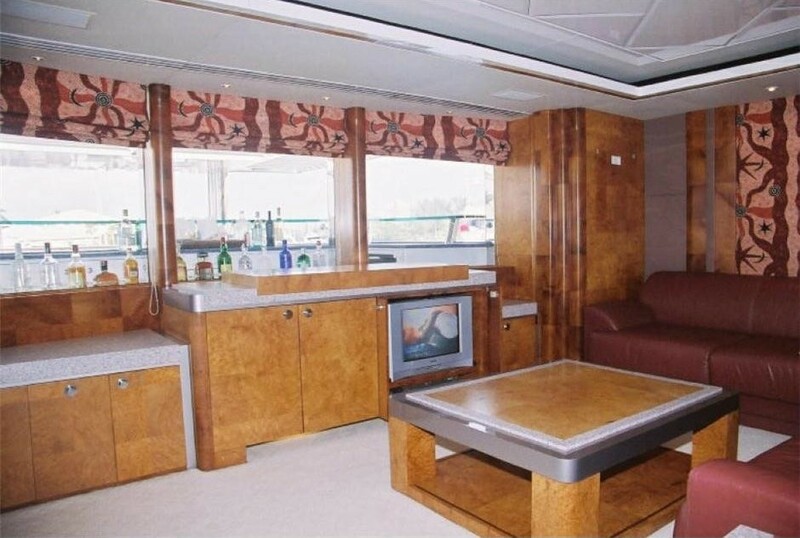 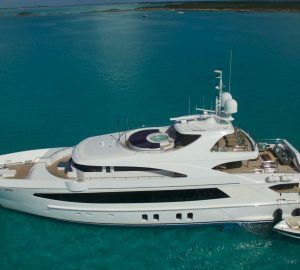 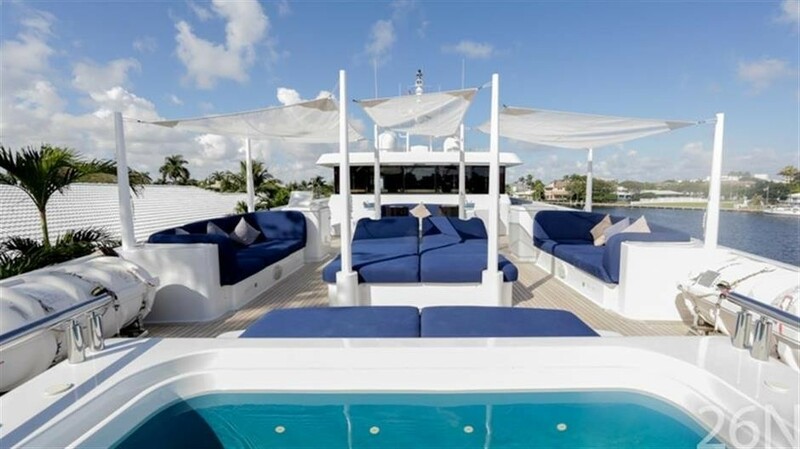 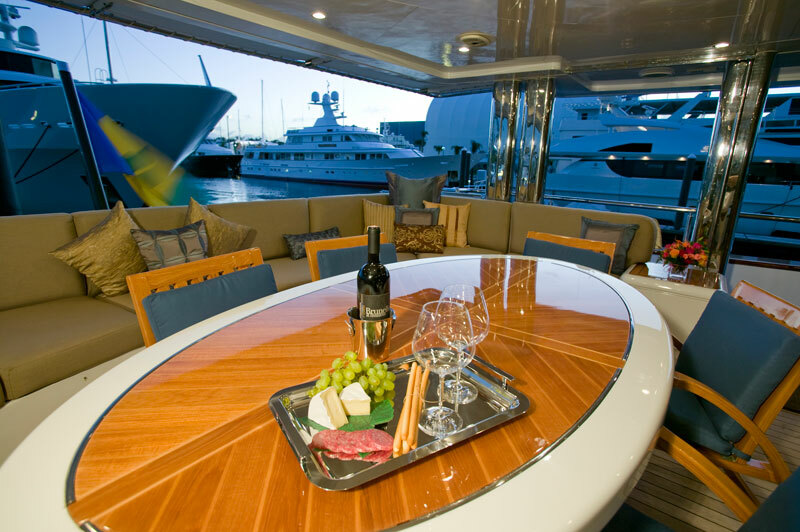 The motor yacht’s sky lounge also provides generous exterior views of the ocean whilst creating another wonderful area for relaxing or entertaining. 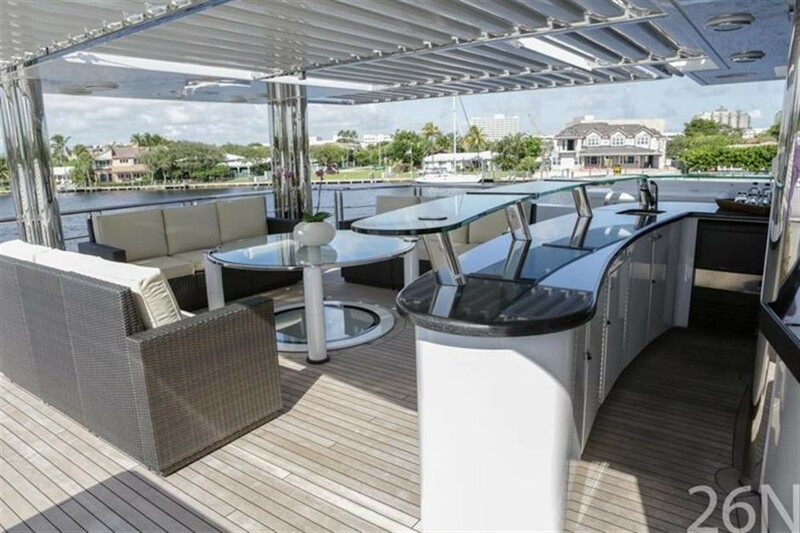 She boasts timeless styling and interior layout from the desk of Jon Bannenburg and her exterior deck, on the sky lounge level, boasts a terrific new multi level bar. 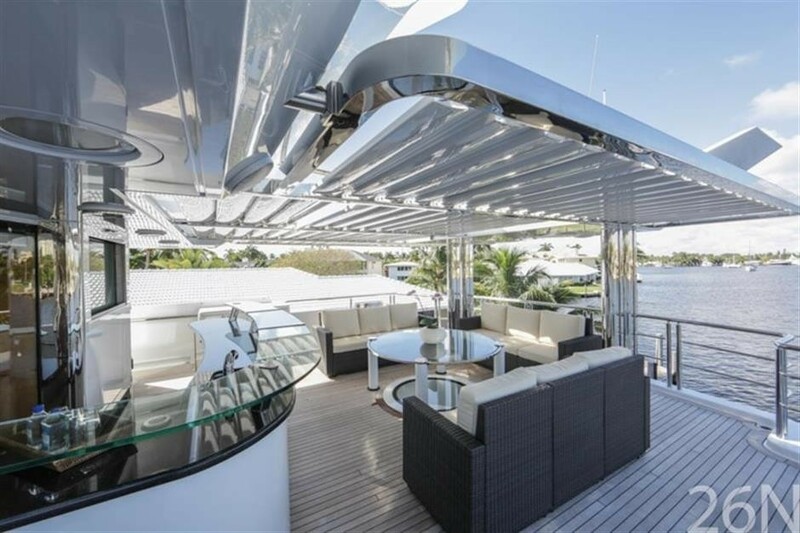 The bar has all the amenities for serving up the finest island drinks under a unique louvered overhead, which offers protection from the elements or lets the sun shine through, depending on your mood. 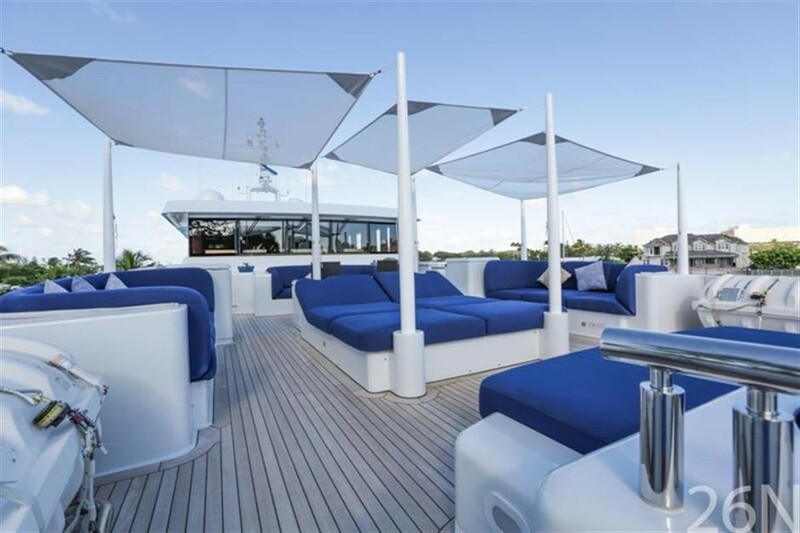 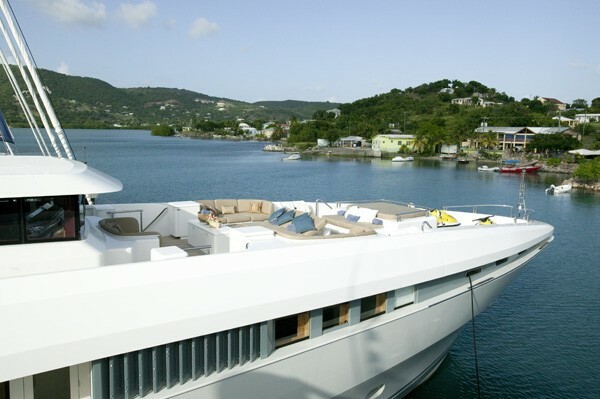 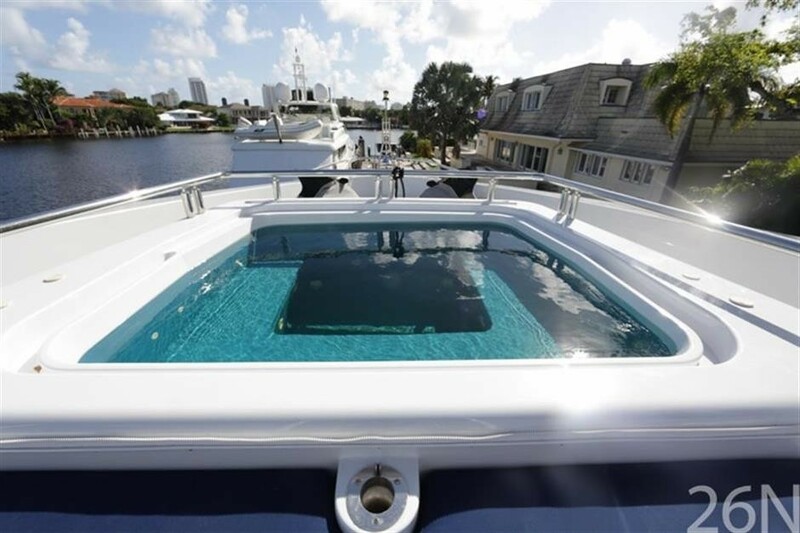 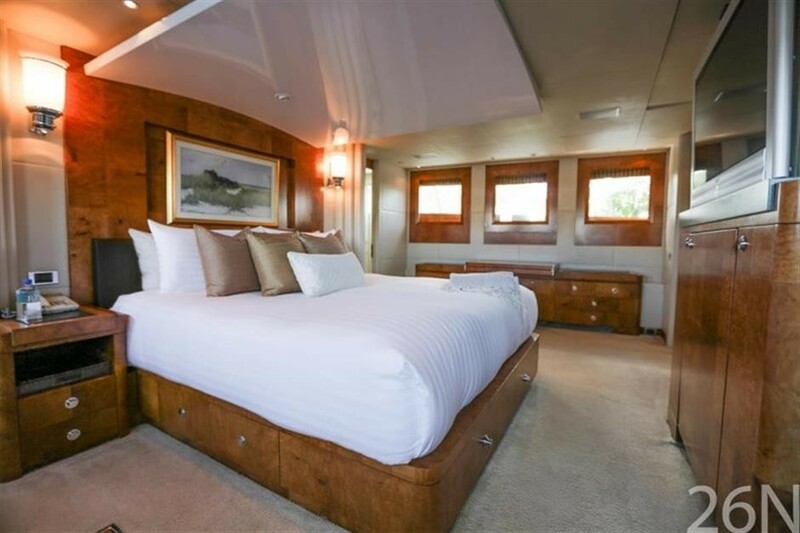 The foredeck is a playground for those lucky enough to cruise aboard - from the huge sun pads and seating groups to her 6 person Spa Pool spa pool, this area has all the luxuries. 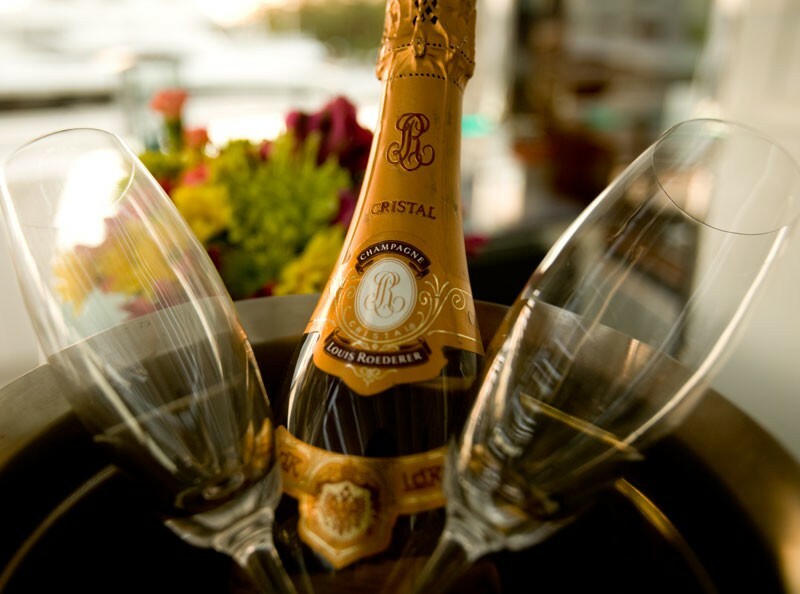 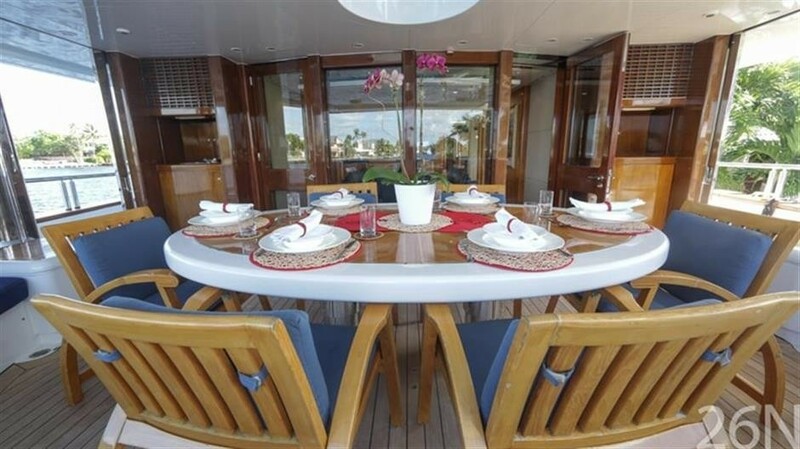 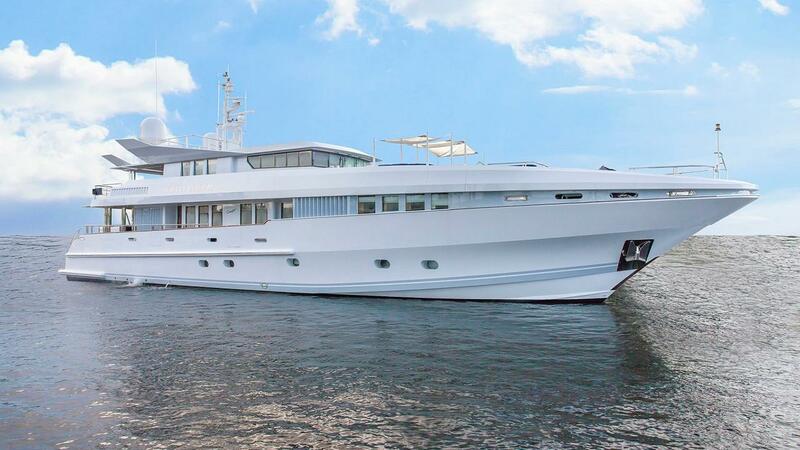 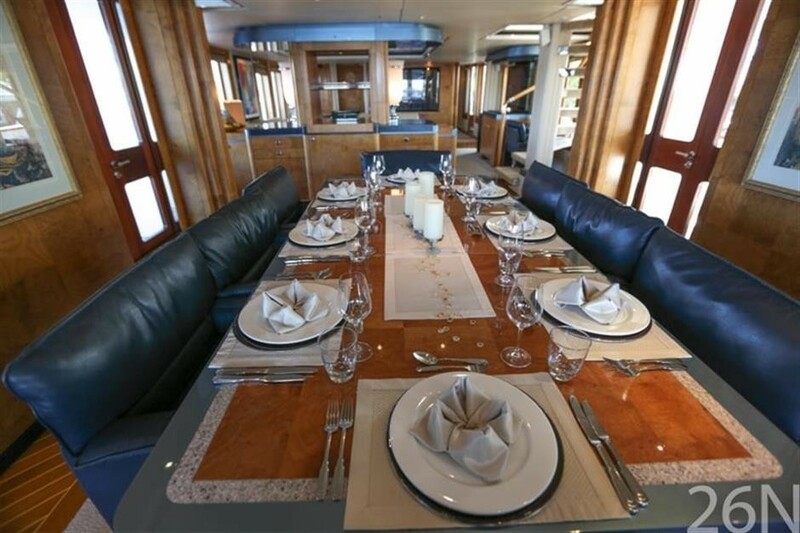 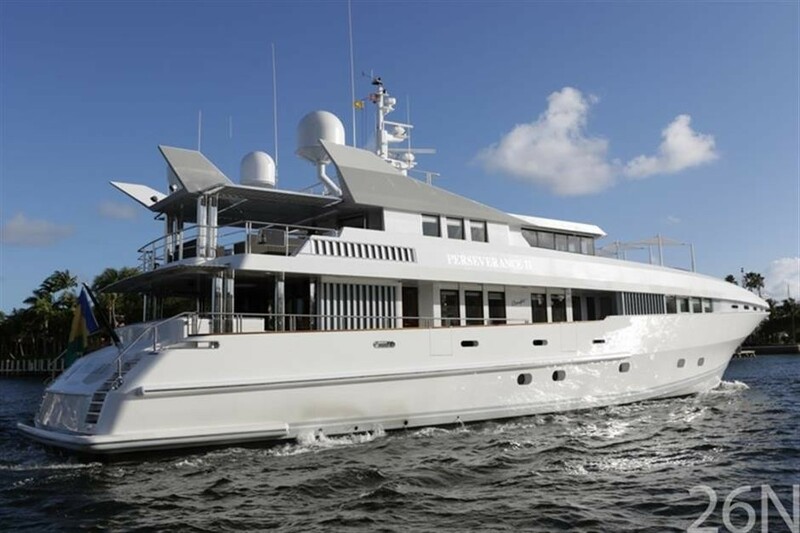 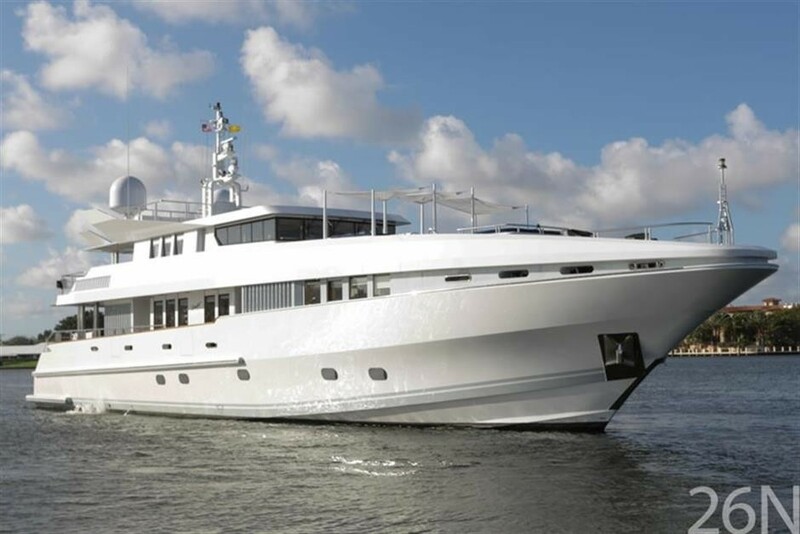 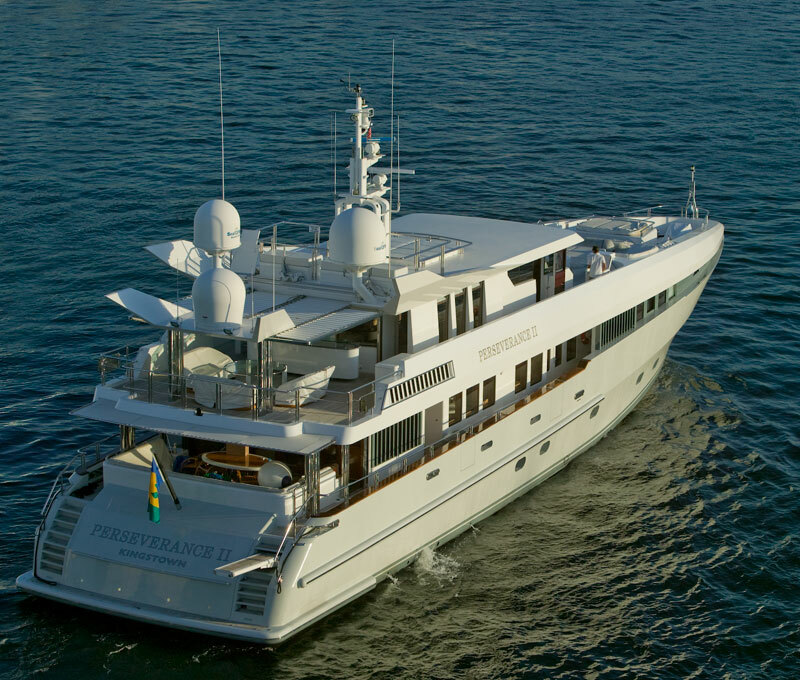 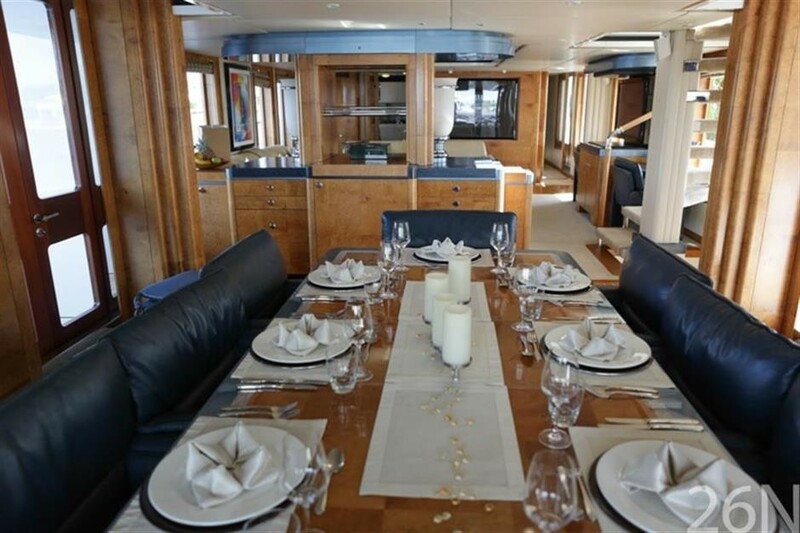 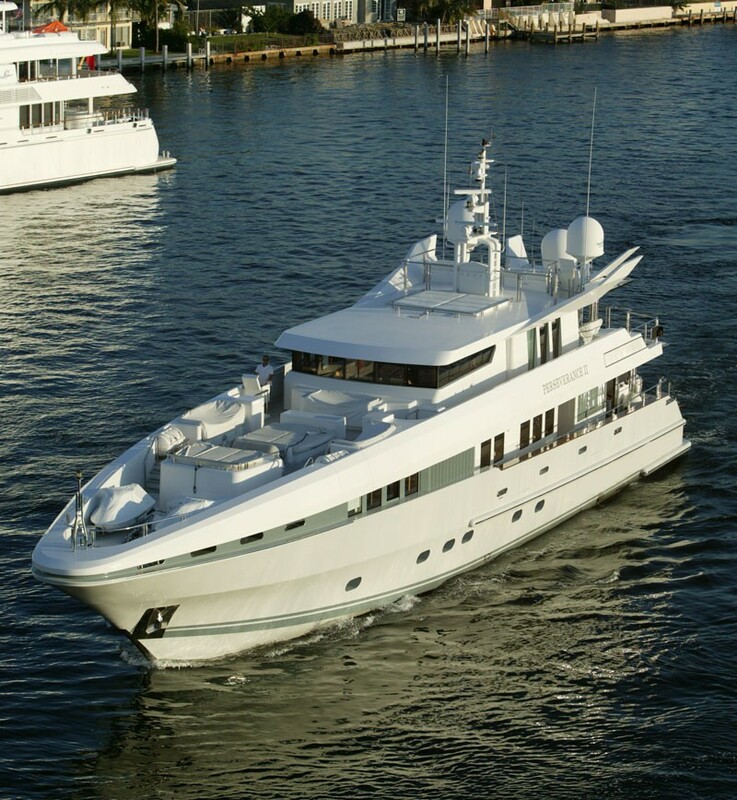 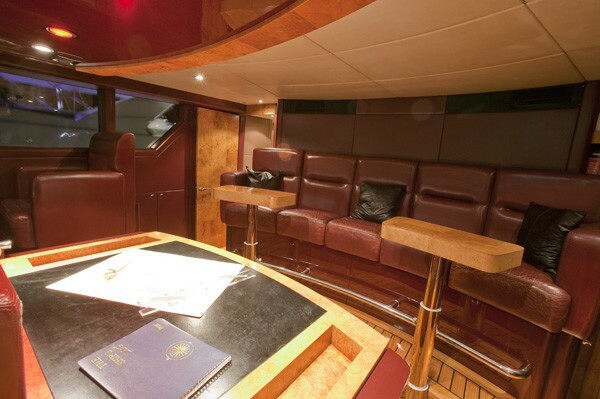 MERCEDES is a well equipped charter yacht which is ideal for a yachting vacation like no other. 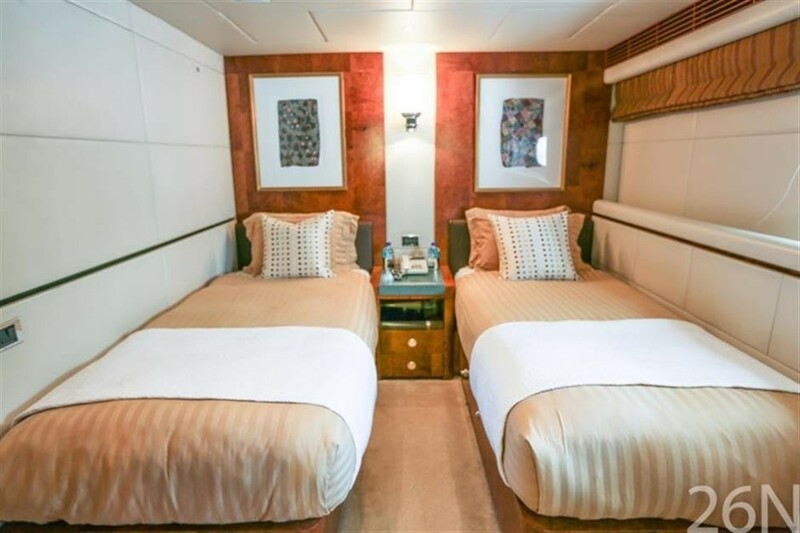 Number of Cabins: 4 Total Guests (Sleeping): 8 Total Guests (Cruising): 12 Cabin Configuration: ( 3 Double, 1 Twin, 1 Convertible) Total Crew: 6 Bed Configuration: ( 1 King, 1 Queen, 1 Double, 2 Single, 2 Convertible) --- Perserverance sleeps up to 10 guests. 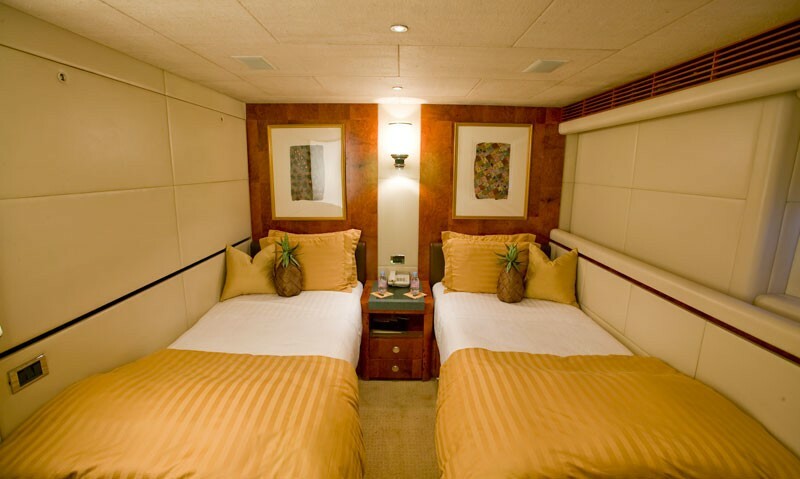 4 cabins and two convertable beds in the skylounge that are suitable for children or nannies. 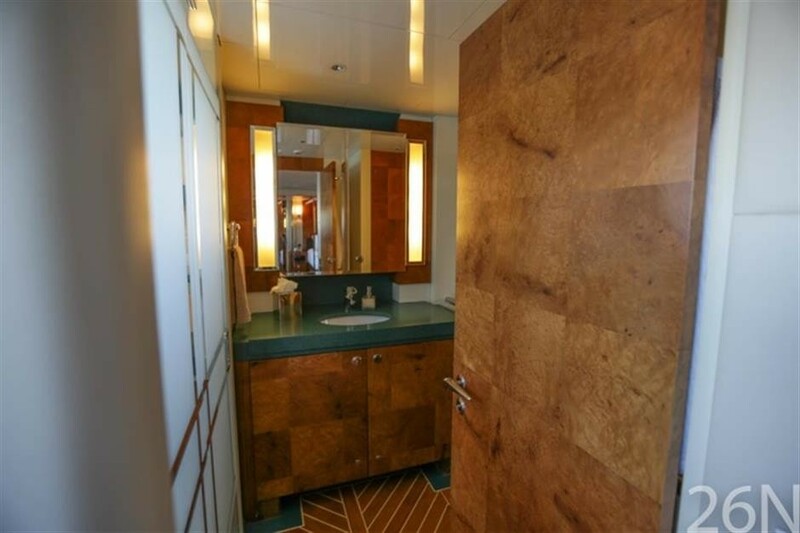 There is a full private bathroom off the skylounge. 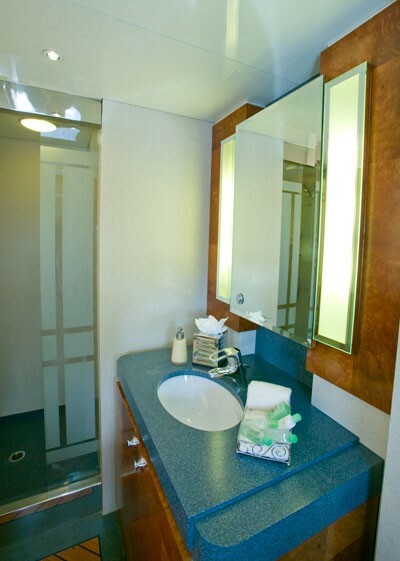 All the cabins have been completely refurbished with new soft furnishings in November 2008. 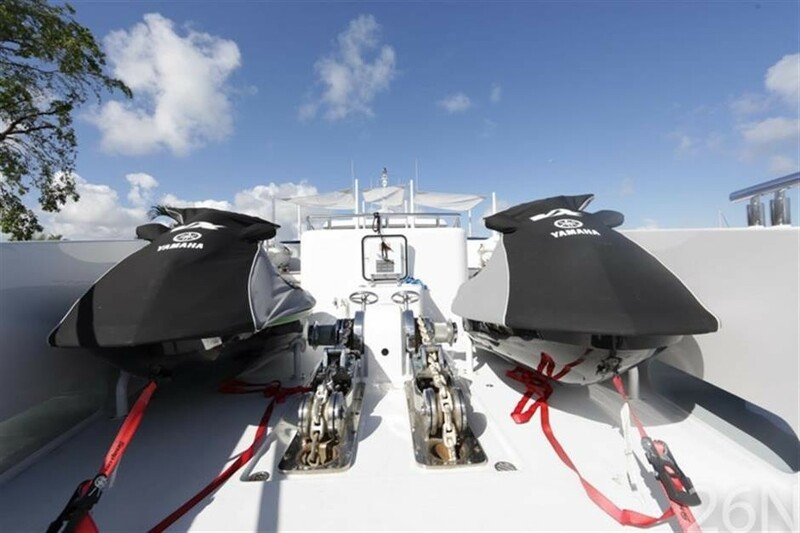 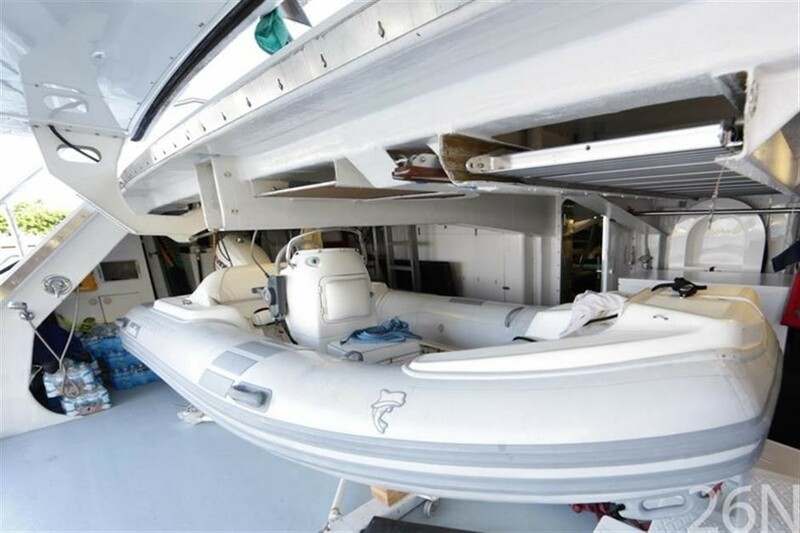 Motor yacht MERCEDES Tenders & Toys: - 17’6” Novurania 530 RIB 2 x 3 man Kawasaki jetskiis Audio Visual Equipment and Deck Facilities Huge sun lounges, seating and BBQ area on her spectacular distinctive foredeck, including parasol shade tents. 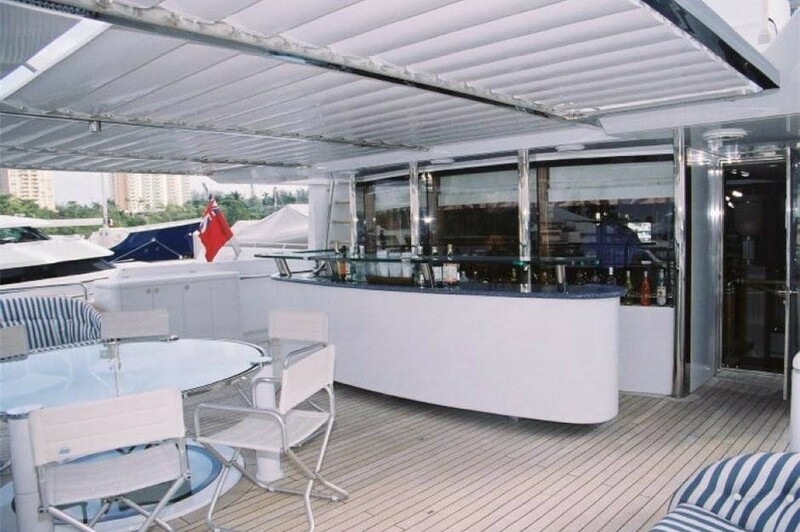 Another BBQ, dining and bar area with a flat screen TV on the sun lounge deck, complete with unique louvered electrically adjustable overhead shade blinds. 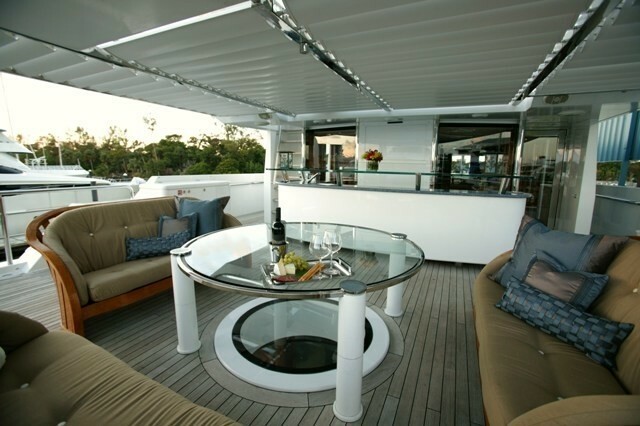 Sky-Lounge with L-shaped convertible leather seating and entertainment center. 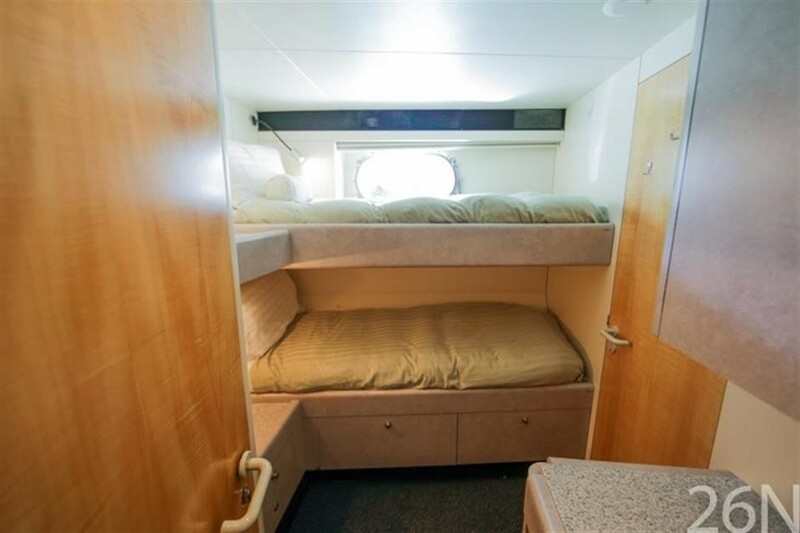 This area converts to a 5th stateroom for children, etc. 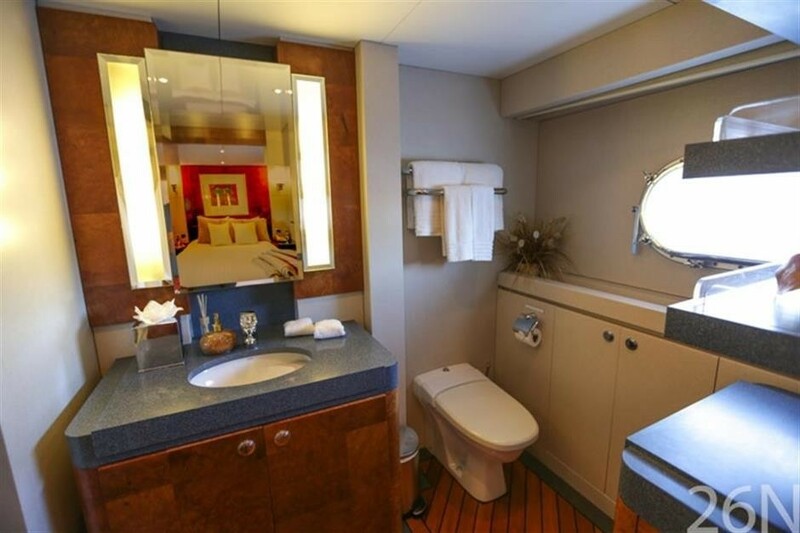 Day toilet with shower. 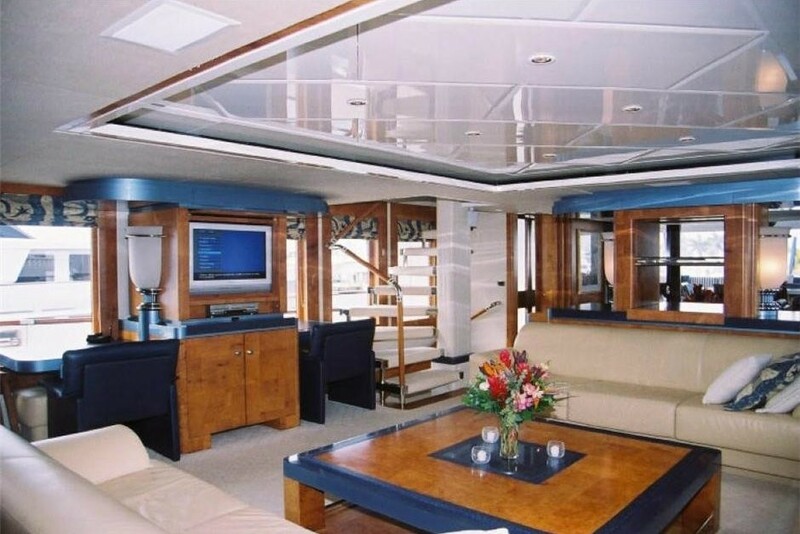 Flat screen TV's in all cabins, including Direct TV.